“They are going to think I play Rudolph the Red-Nosed Reindeer in community theater. Either that, or they’ll think I start drinking at 8 am. You know what? I don’t care, because I CAN’T BREATHE!” You’re nodding. That’s because you are one of the estimated 226 million Americans who suffers from seasonal allergies this time of year. They range from a minor irritant (a sniff or two upon awakening) at the lower end of the spectrum to waking up in the morning with your eyes nearly swollen shut at the higher end. 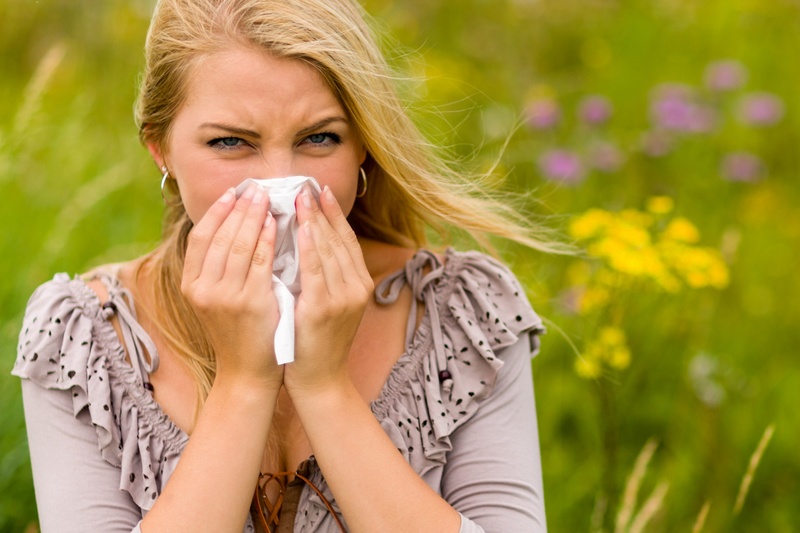 In extreme cases, seasonal allergies can trigger life-threatening asthma attacks. Two hundred twenty-six million allergy sufferers. That’s seven out of every ten people who live in the United States. How did it come to this? Do we come from the factory flawed? The easy answer is that the medical community, including allergy experts, don’t know. But the truth is more mysterious and confounding than simple ignorance. They don’t ENTIRELY know the reasons so many people around the world are allergic. Truth told, scientists understand much more about the allergic diseases than they understood even twenty years ago. When you were born, your immune system was an incomplete mechanism. During your first days, and weeks, you came into contact with a myriad of bacteria, germs, infections, and viruses. This was a good thing because your system learned from them what was benign and what was dangerous. Medical scientists call your immune system at birth “Th-1,” and the immune system you eventually develop “Th-2.” But if you are inclined to allergy, the switchover doesn’t take place as completely as it should. Why does this happen, and in such large numbers? It is at this point that the “I don’t know” starts to creep in. Some research indicates that the growing urbanization of the population is part of the reason. The number of allergic kids in cities is much higher than the number of allergic kids in a farming environment. Though it seems counterintuitive, children raised where hay is present are less likely to develop hay fever. Other research points to the shrinking size of the average American family. Children who were raised with four, or more, siblings tend to be less allergic. Perhaps brothers and sisters with runny noses lead to a more robust and accurate immune system. Pollen count statistics for your town are readily available on the internet. Watch the pollen count and stay inside when the number is high. Treating the symptoms is a matter of learning your allergy triggers and developing a routine for avoidance. Start with a visit to an allergist to pinpoint your allergies. You may know you are allergic to cats, but you may not be aware that dander from other animals may be a problem, as well. Find an over-the-counter medicine that works, though none of them are perfect. A Neti pot or Navage system may provide some measure of relief. Pollen count statistics for your town are readily available on the internet. Watch the pollen count and stay inside when the number is high. In any case, avoid walking around outdoors in the morning. The count is always higher before noon. Spring cleaning is a serious business for allergy sufferers. Stay atop the vacuuming and dusting. Consider an air purifier that is rated to reduce airborne allergens and pollutants. They can be a great help in the ongoing struggle. What if none of those measures help enough? Pack up and move. Though it seems extreme, changing your climate may be the only answer that gives you some relief. It could save your life if your allergies lead to asthma attacks. Here is a list of the worst cities for allergy sufferers, and a list of the best places for allergy sufferers. In broad strokes, south is bad and north is good, because the cold winters up north kill lingering pollen.